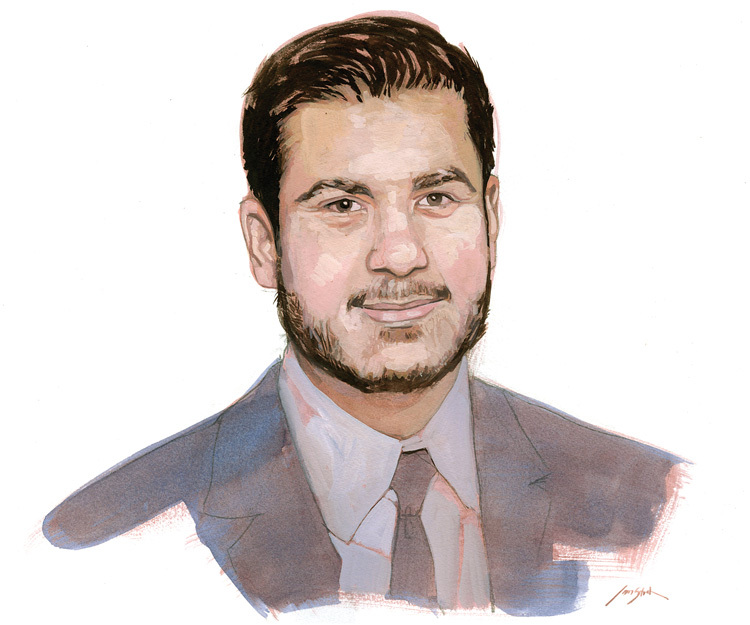 D r. Abdul El-Sayed has a special connection to Detroit. His parents immigrated from Alexandria, Egypt, in the late ’70s after his father earned a full fellowship to pursue a Ph.D. at Wayne State University. “That institution has an important place in my family’s history,” says El-Sayed. Now, the 31-year-old has come home to serve the city he loves as one of the youngest health officers in city history. 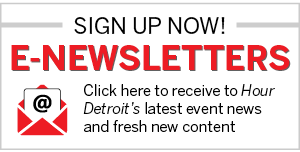 Hour Detroit: Has public health always been your passion? Dr. Abdul El-Sayed: I didn’t really know what public health was until my senior year of college. I studied biology and political science and I always knew I was fascinated with how the social world shaped the biological world, which, in effect, is public health. I just didn’t know what the name for it was. How did you come into your position? Let’s talk about your vision as health director. When I think about health in the city, I try and crystallize that with a person. To me, we’ll be doing our job when any little kid, say 3 years old, has the potential to dream and actualize that dream for themselves in the same way that a kid in Oakland County or any other county surrounding Detroit does. And that kid has every opportunity to live the kind of life that all of us want for ourselves and our children. That’s real-time success. In the midterm, it means moving the needle on things like teen pregnancy, infant mortality, and asthma and lead, and diabetes and obesity. In the short term it means rebuilding this institution. In the early ’60s, this was an institution that had over 3,000 employees. Today, we have about 130. We have a long way to go, and the Detroit Health Department has a really rich history. What are some Detroit-specific challenges that you’re facing that you might not in other cities? The challenges that we have right now were created over decades, and you’re not going to solve them in days, but a lot of them are structural. Whether it’s infant mortality, asthma, lead … these are challenges that we face to a greater degree in Detroit because of the way that the city is built. First, it’s a gigantic city, you could fit all of San Francisco and Boston and Manhattan in Detroit and still have room left over. Second, it’s highly vacant. We operate at about a third of the carrying capacity of the actual city. Third, it is not car dense. … So, what we have here is an urban community, low income, relatively undereducated, living in what is sort of a rural context. What are some of the solutions you’re implementing? In the infant mortality space, we’re really, really focusing on teen pregnancy. In the coming year what we are planning on going full tilt on long-acting reversible contraceptives, things like IUDs and implantables. We want to make these really, really accessible. In terms of early childhood, we built a lead task force, where we work with every department that touches on the lead challenge to focus on providing services in a comprehensive kind of way. We’re also working with the schools. We got a $135,000 grant from the Children’s Hospital of Michigan Foundation to facilitate testing across all of the schools in Detroit and to make sure the schools are a safe environment. And finally, we just submitted a grant that we really hope we will receive on trying to integrate all of our early childhood work. We have a WIC (Women, Infants & Children) clinic, an immunization clinic, we do lead services, we do vision and hearing services, but we haven’t integrated them. What we’re trying to do is turn them into one clinical product that’s really designed with the mother in mind. What can the public expect to see within 5 to 10 years through the health department? We’ll judge our work here by two things: A, the sustainability of quality as a department, and B, most importantly that health outcomes are going to get better. And I hope that’s what people can expect. … We have a responsibility to act for 680,000 incredible, resilient people in the city of Detroit. We have both the opportunity and the responsibility to serve them, and we take that real seriously. University of Michigan, B.S. in biology and political science. University of Oxford, DPhil in public health. Dislikes: Inefficiency. The pervasive attitude that things can’t be fixed.